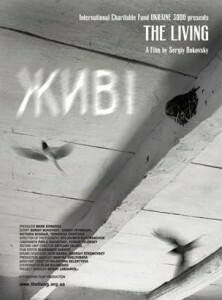 The Living, feature documentary by Serhiy Bukovsky made in 2008 to mark the 75th Anniversary of the genocidal Great Famine of 1932-1933 in Ukraine, a.k.a. the Holodomor. The Living (Живі) tells the story of the tragic events in Ukraine in 1932-33 and one Welshman’s attempts to tell the world what was happening. It presents a new angle on Stalin’s man-made famine as Ukrainians who were witnesses to the millions who died and the millions more who suffered horrendously, tell their heartfelt stories. Tickets at the door, online or at selected retailers.